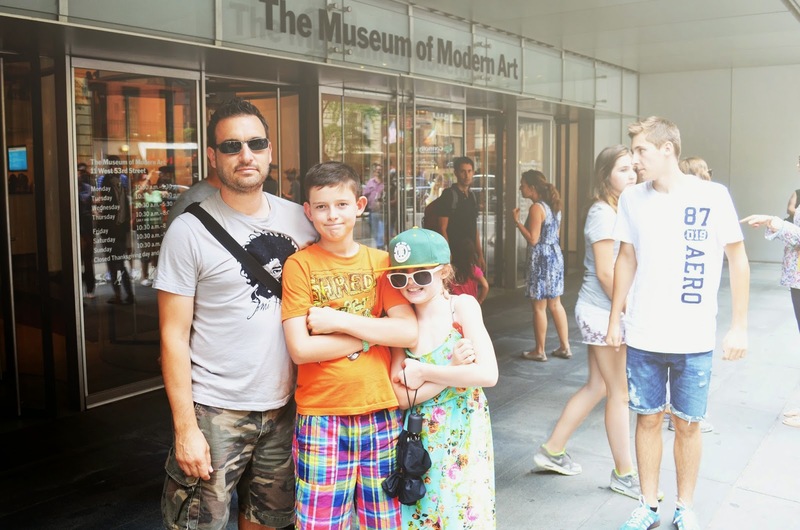 During our summer trip to New York City, our touristy stop number one was the Museum of Modern Art (MoMA). My husband and I had been there BK (before kids) and we thought we'd like to brave the museum again with the children. 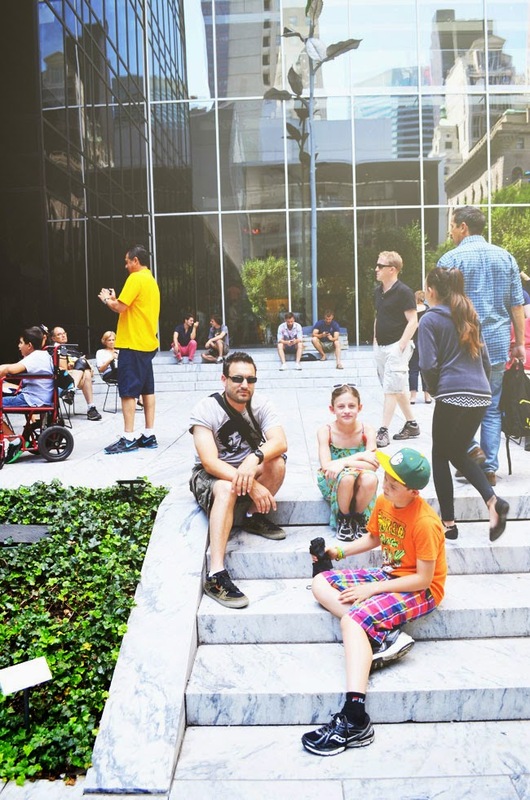 Before heading to the museum, we picked up the official New York CityPASS, a ticket booklet that saves you 40 per cent on admission to six top attractions in New York City, including MoMA. CityPASS allows you to save on admission fees (and sometimes bypass long ticket lines) at the American Museum of Natural History, the Metropolitan Museum of Art, the Empire State Building Observatory, the Top of The Rock (or the Guggenheim Museum) and Circle Line Cruises (or Statue of Liberty/Ellis Island tours). MoMA truly caters to the whole family. 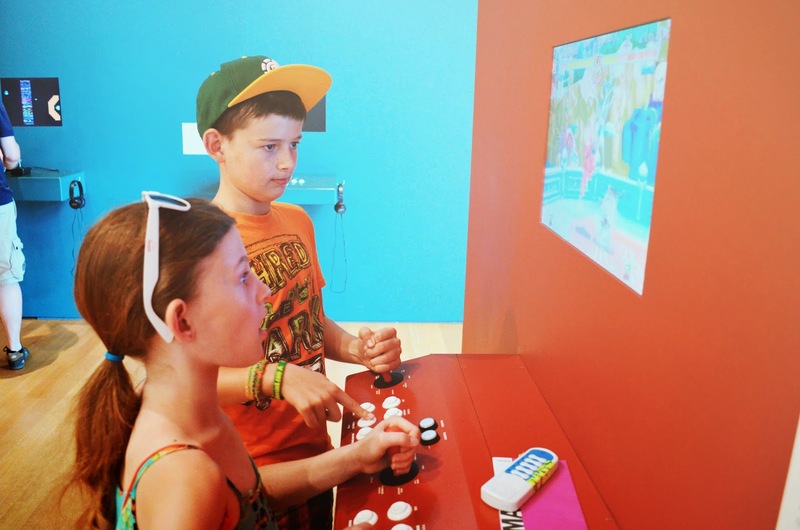 I know this because the first exhibition we spotted after getting off the elevator was a video game exhibition. I could just see my son thinking this isn't going to be so bad after all. 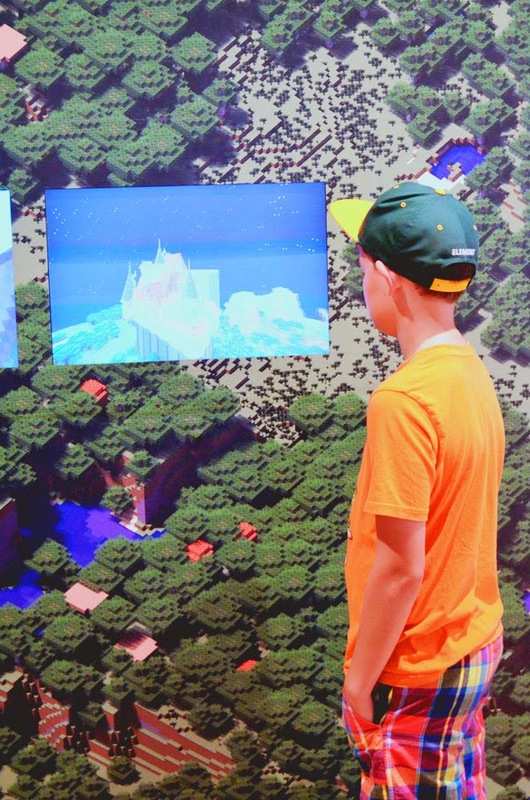 They even paid tribute to his favourite game and everyday obsession - Minecraft. This particular jury member is still deciding whether video games should be considered art. If so, then my son should be considered a great art connoisseur. 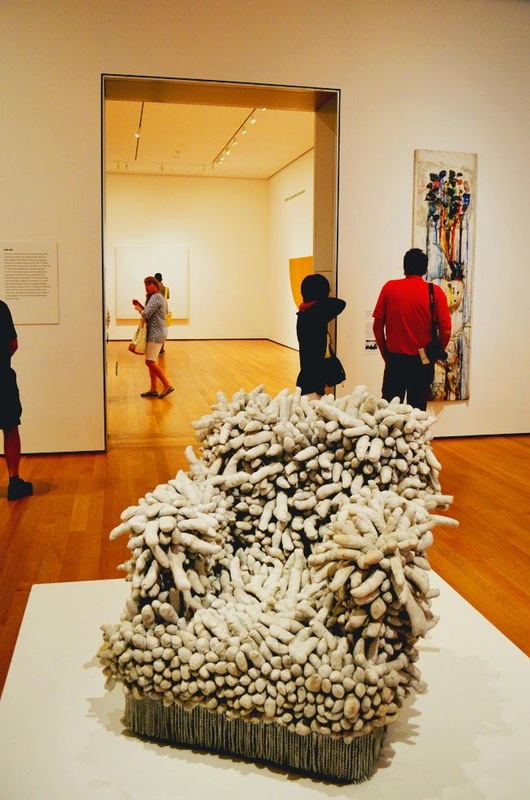 We checked out some eye-catching modern art pieces, like Yayoi Kusama's Accumulation No. 1. I get that those are supposed to be phallic protuberances, but all I see is ginger root. Is that weird? 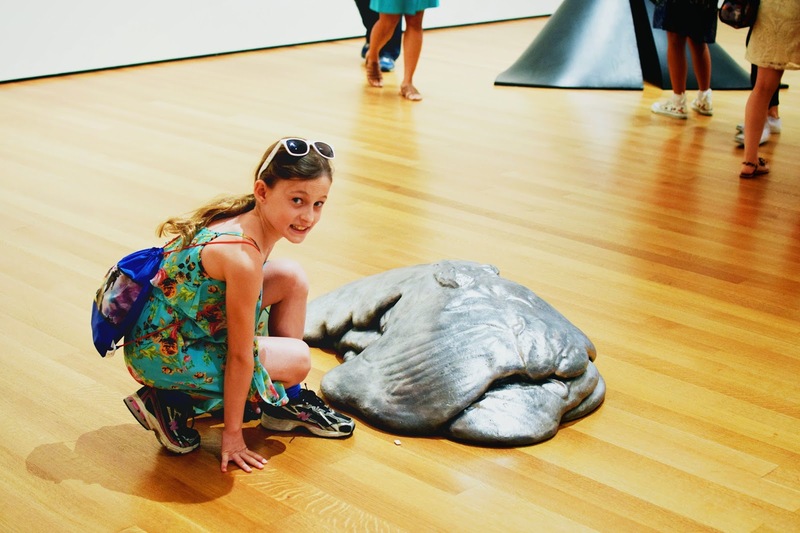 Here's my daughter checking out a Lynda Benglis aluminum sculpture. Actually, if you look on the floor at the front of the sculpture you'll see that what she's really doing is taking a photo with a piece of gum. 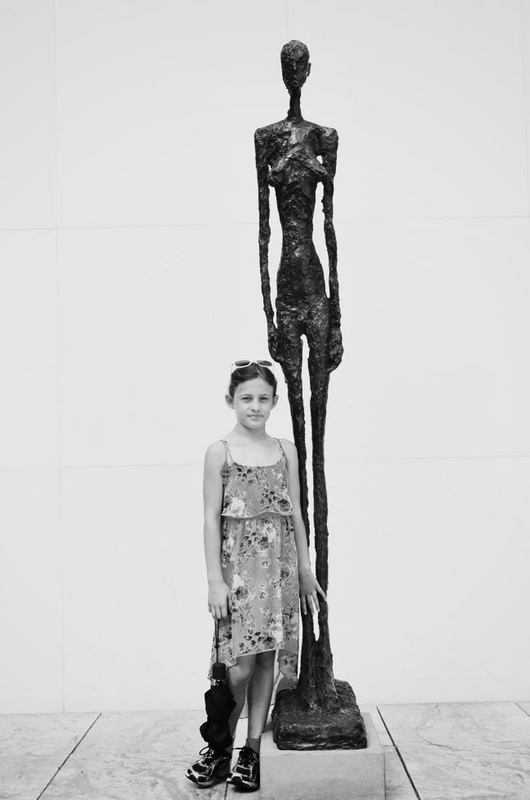 She and her dad decided to place the gum in front of art pieces throughout the museum and record the process in photos. I guess it was sort of an art series of their own. It kept her entertained anyway. We saw many great artworks from our favourite famous artists, like Henri Matisse's La Serpentine. 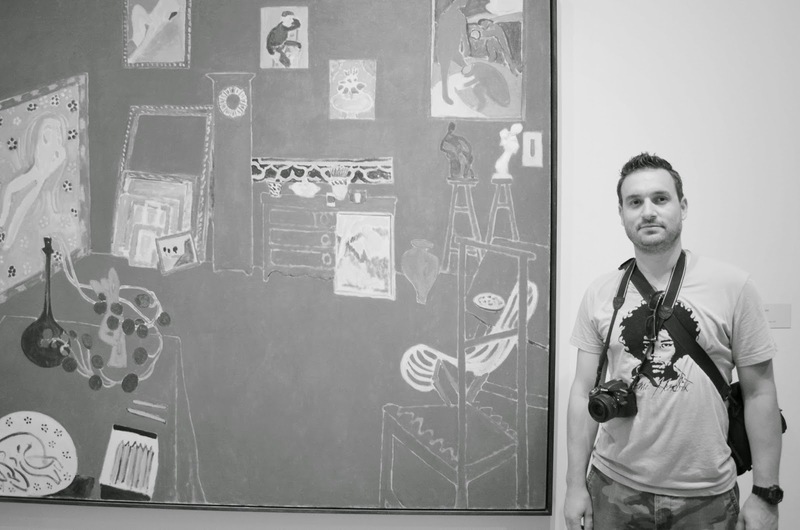 And Matisse's The Red Studio too. Andy Warhol's work doesn't thrill me like a Matisse or Picasso piece does, but I have always found him and his aesthetic interesting. 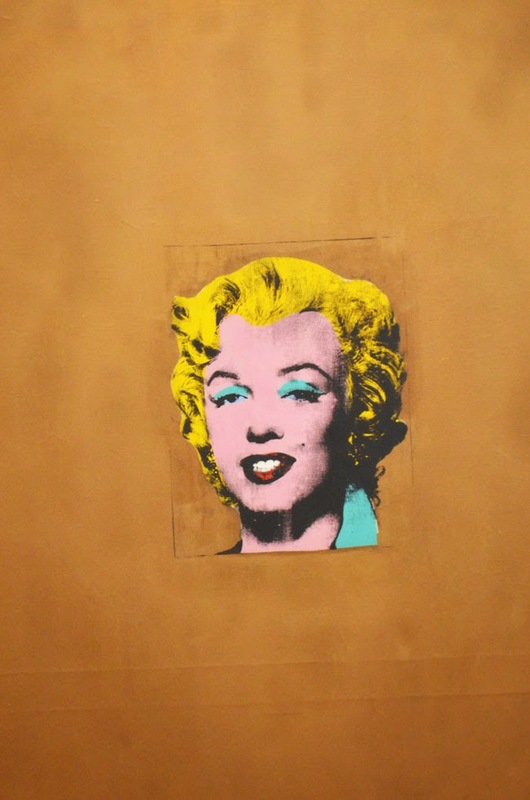 Here's his Gold Marilyn Monroe. 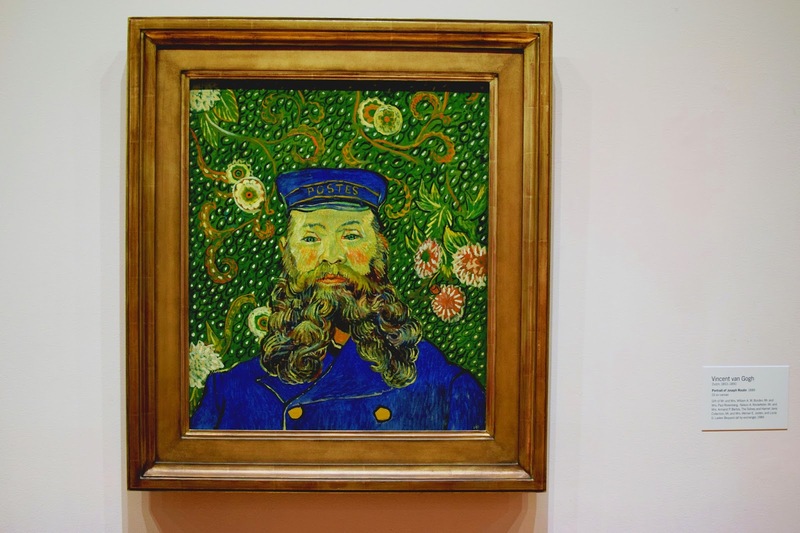 Gotta love Vincent van Gogh. Fortunately we were able to get a shot of this Portrait of Joseph Roulin, unlike Starry Night, which appears to be one of the most popular pieces in the museum, judging by the crowd gathered in front of it. 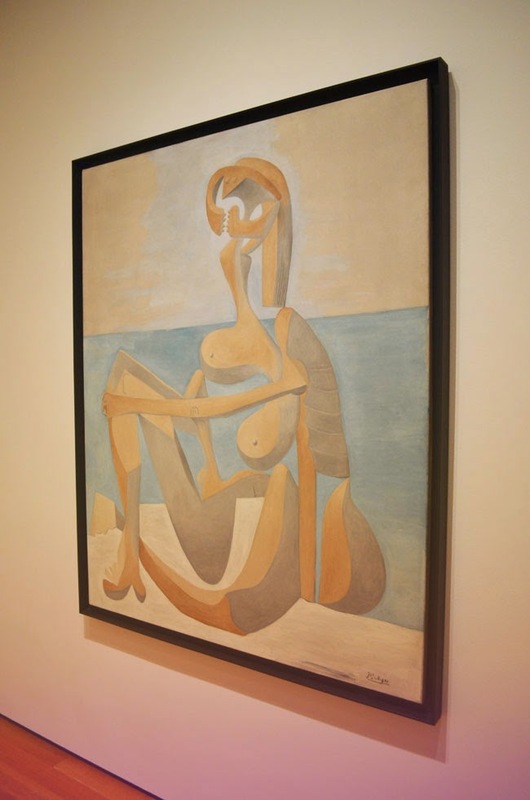 There are plenty of pieces by one of my most favourite artists - Picasso - at the MoMA. Sure they're weird, but that's why I love them. Seated Bather creeps me right out, but I think it's awesome. 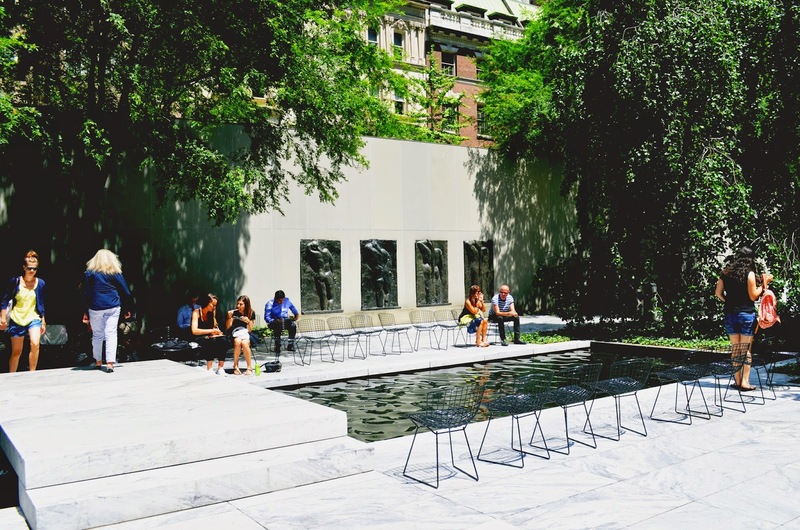 I think the MoMA courtyard is even better than the gallery itself. Wouldn't you love to have a courtyard at your house? Complete with sculptures? And a beautiful water feature (with cool chairs)? 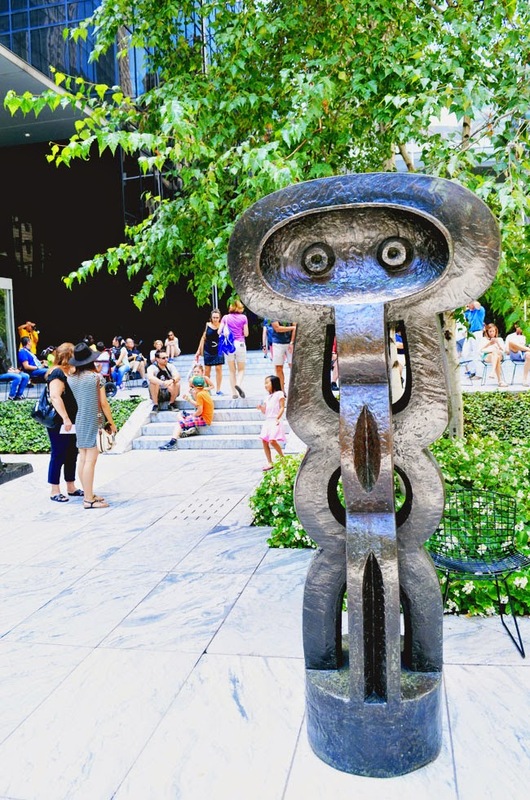 We heard a few complaints from the kids, but the variety of artwork, along with the courtyard people-watching, kept them entertained long enough for us to have a good look at MoMA's offerings. For more information about New York City attractions, visit nycgo.com, the official guide to the Big Apple and its attractions and accommodations. 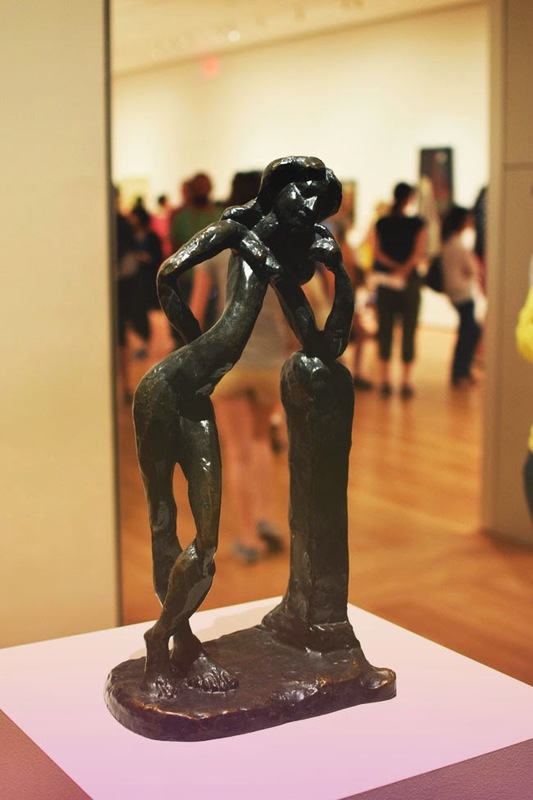 Have you been to MoMA? Do you have a favourite piece of art? I adore MoMA!! What a treat-- and kudos to your husband for coming up with the "gum installation" idea! We visited NYC this summer too, and before we went we'd been thinking about getting the city pass. Is it really worth it? Or you end up with a lot unused tickets? Might try next time we're stopping in the Big Apple!